Everyone knows that cigarettes will kill you. Mark works the overnight in a grimy deli in the Bronx, selling gray market smokes and bad meat. His hotheaded manager Janet pushes him to help her con their boss into paying cash for a truck full of tax-free cigarettes. Soon he finds that Janet is willing to do nearly anything to grab the money, and what they are up to is a lot more dangerous than three packs a day. Preston Lang is a writer from New York. His work has appeared in Thuglit, Spinetingler, Out of the Gutter, Crime Syndicate, and WebMD. 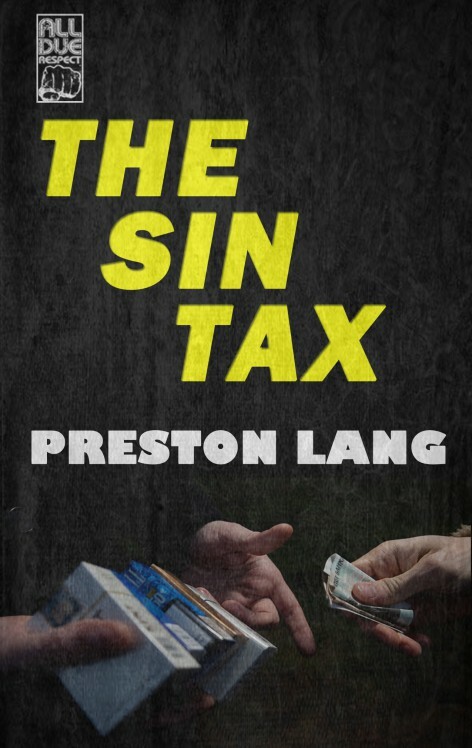 The Sin Tax is his third novel.